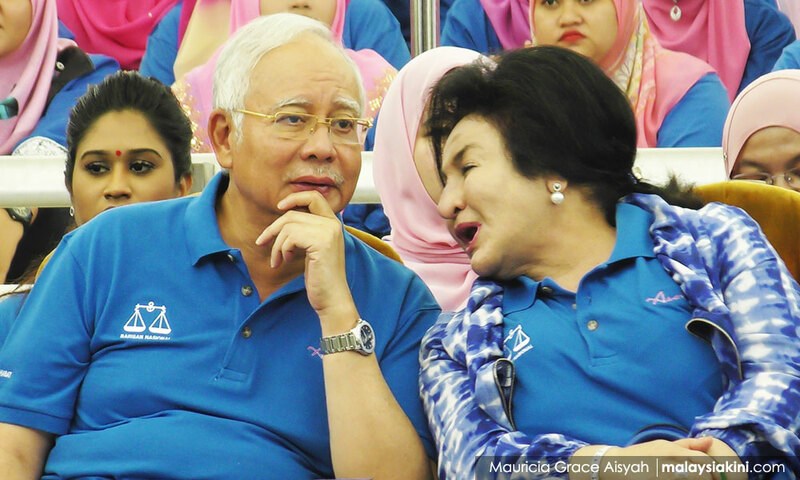 Wg 321: Out of the RM2.6 billion received in his personal account, former prime minister Najib Abdul Razak distributed RM470 million to his Umno divisional heads and other allies in BN. The balance of the RM2.6 billion was apparently not returned to his ‘Arab donor’, but it was deposited elsewhere. The ‘donor’ was indeed really short-changed. If Najib and his cronies are unable to pay back the Malaysian taxpayers, the MACC should auction off all their properties to recover the money. Clever Voter: Najib has to be the greatest gift of all to political parties and individuals that subscribe to the doctrines of BN. It is no wonder that public outside of his ring sees Najib as a despicable character, and a hypocrite in every sense of the word. The revelation of the recipients of the dirty money confirms the initial fear when news of the 1MDB scandal broke out. The challenge now is the recovery process, but more importantly, bringing the culprits to justice. If it means building more jail cells, so be it. It won’t be hard to find popular support for that. Cocomomo: Punitive action should be taken against all parties concerned. Full restitution with punitive penalties must be imposed. Such thievery should not be tolerated. Individuals concerned should be dealt the full measure of the law so that all persons will refrain from such acts in the future. Ruben: It is disgusting to see such big amounts being given out to BN, especially Umno. Most probably, the money was used to buy the votes of the rakyat. I hope that this is returned to the government as it allegedly came from illegal sources. So Umno, it looks like you are going to lose a lot instead of receiving the RM116 million cash that was seized from Najib-related residences. The Election Commission (EC) should now relook at making political donations transparent and limit the amounts to be spent in an election. Also, no more approving of government projects during campaigning.